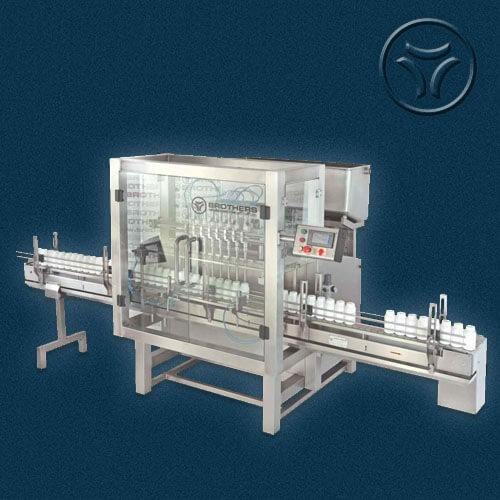 Automatic Four Head Gear Pump Based Liquid Filling Machine Model LIQFILL- 80.efill is suitable for Round or Flat shape Bottles or Vials with maximum speed of 60 Products per minute. 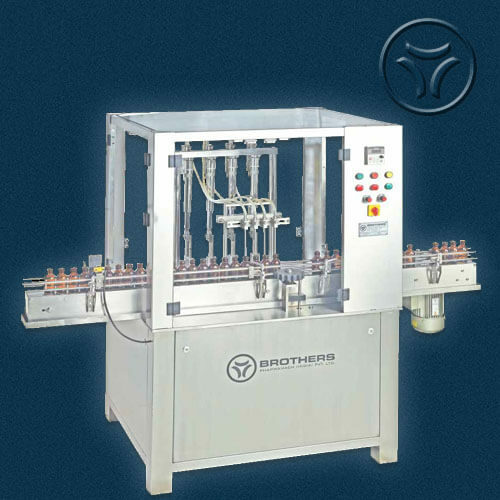 The output of Bottle Filling Machines depending on nature of Liquids, Bottle Diameter, Bottle Height, Bottle Neck Size and Fill Volume. 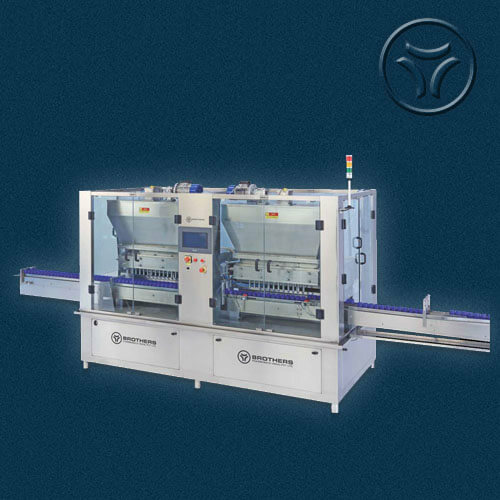 Machine construction in fully Stainless Steel finish including machine frame structure. 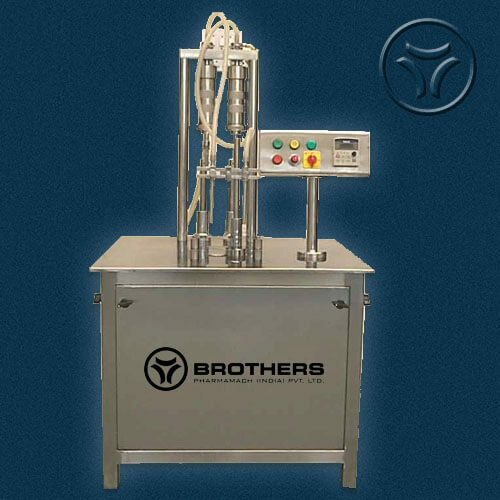 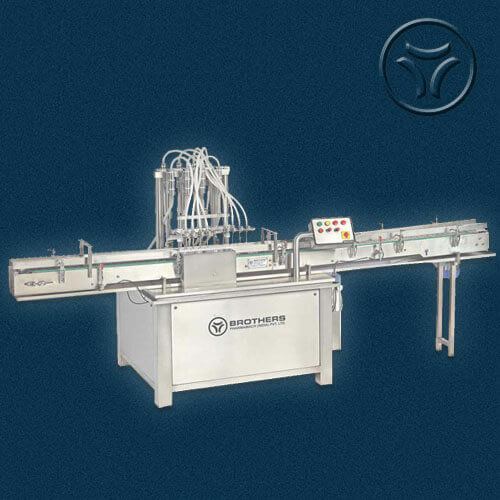 This machine works on the principle of metering the flow of liquid through digital control. 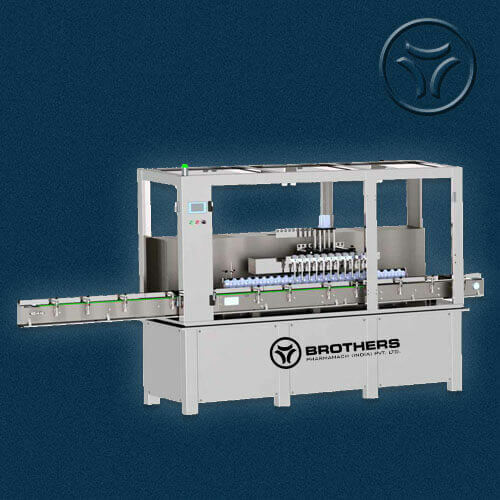 The liquid to be filled flows from reservoir tank to the container through Gear pump, controlled by PLC. 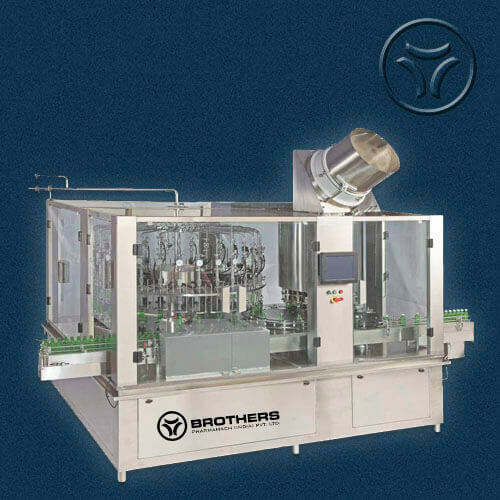 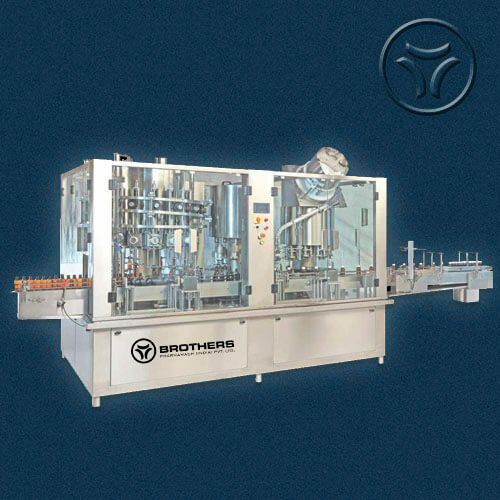 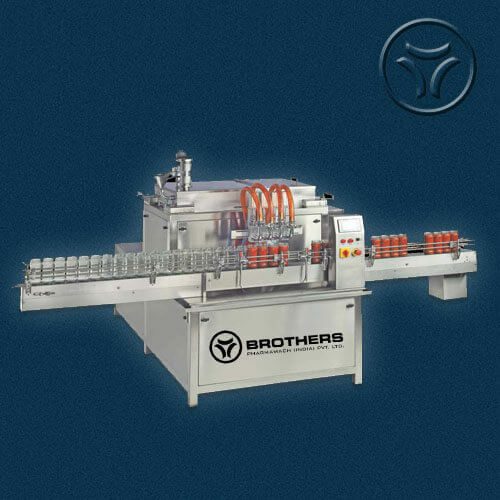 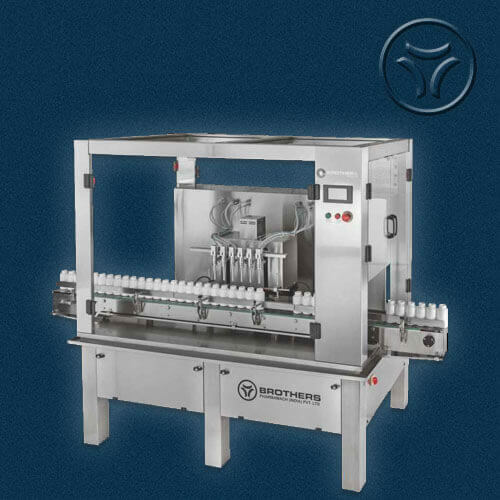 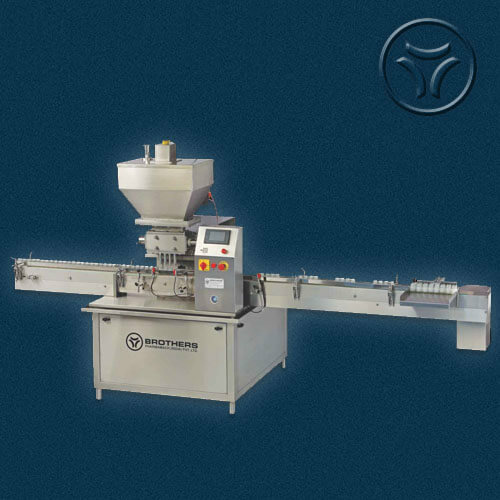 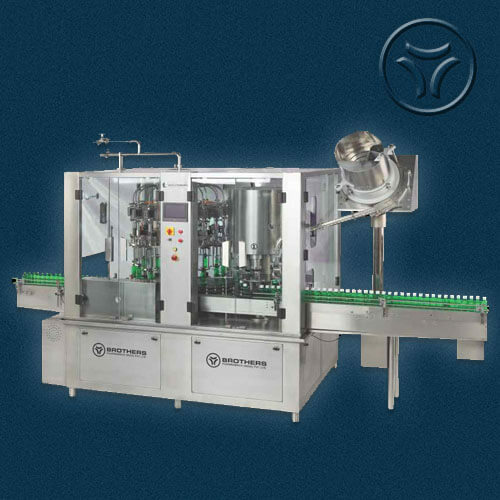 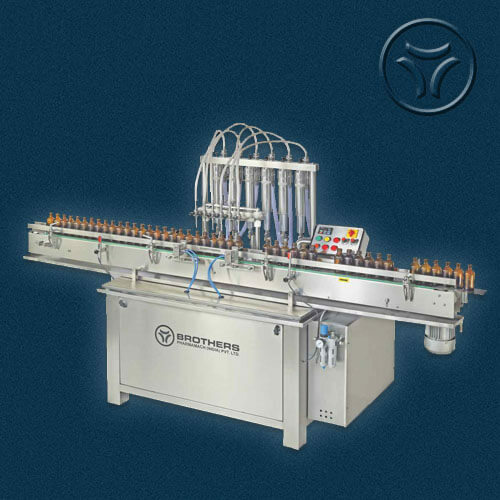 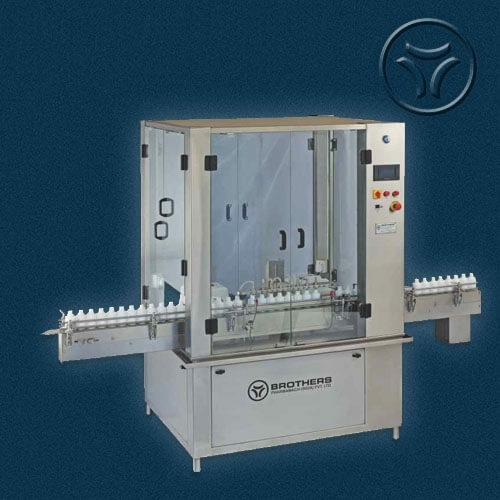 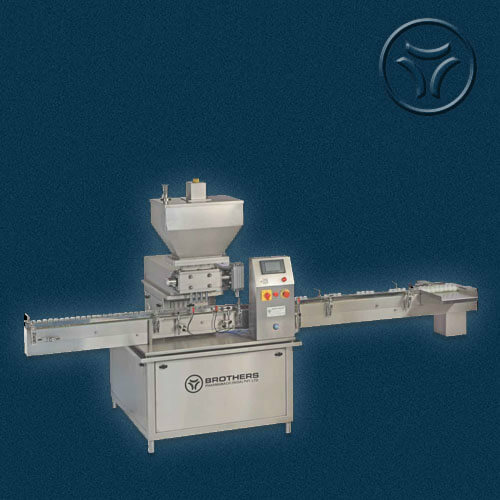 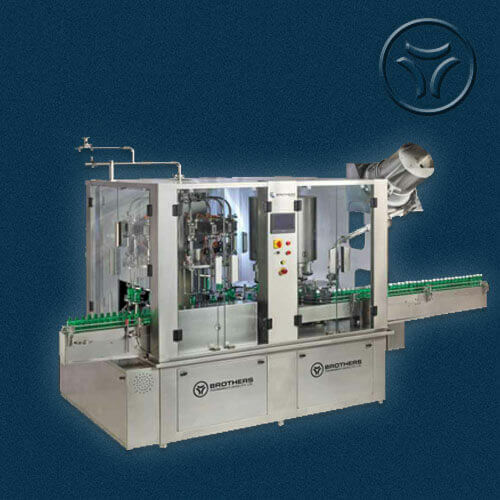 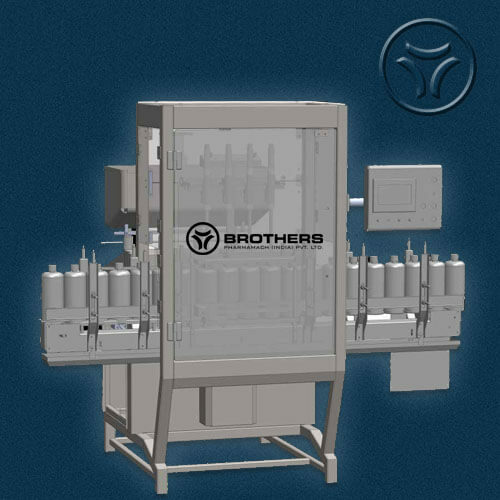 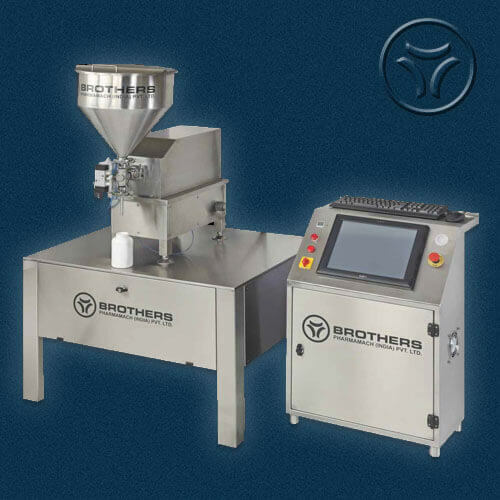 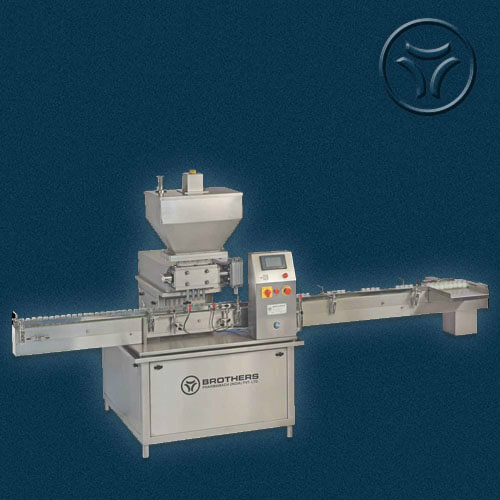 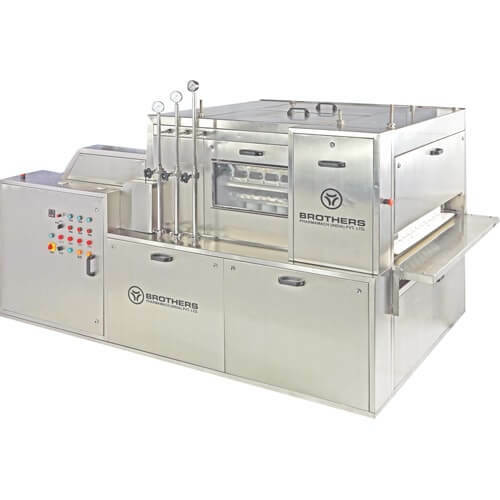 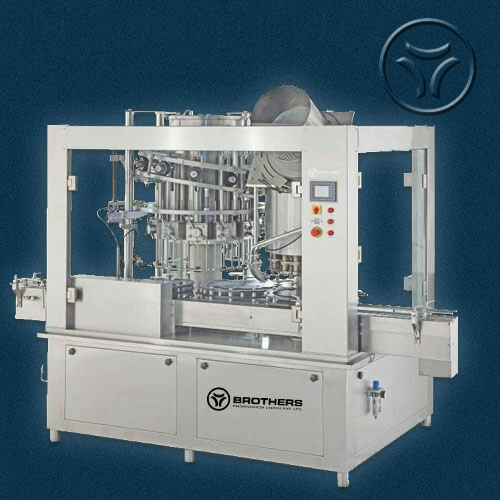 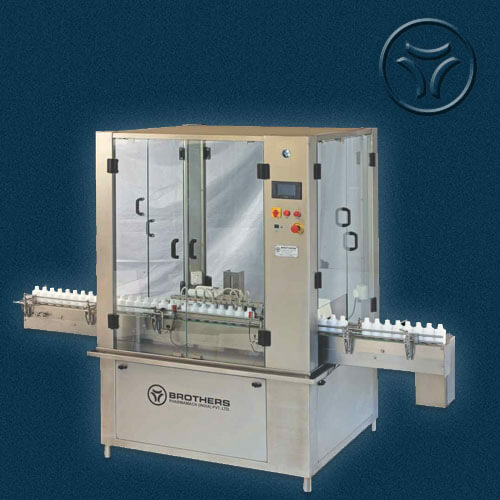 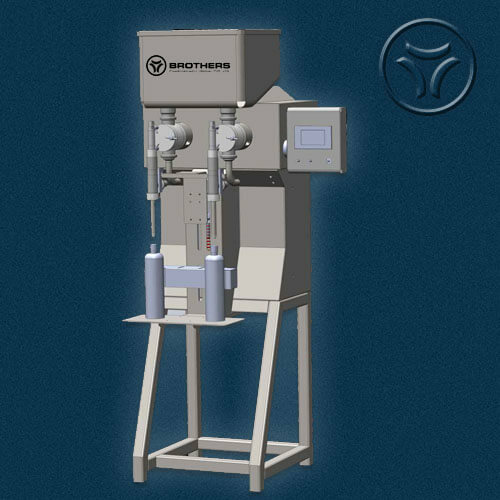 Machine with Optional Turn Tables at In-feed and Out-feed with individual drives to match the speed of incoming and outgoing Bottles for smoother operation. 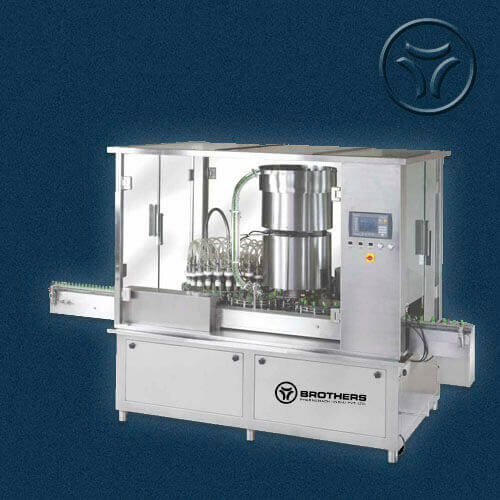 All parts coming in contact with Liquids are made from S.S. 316 Material.